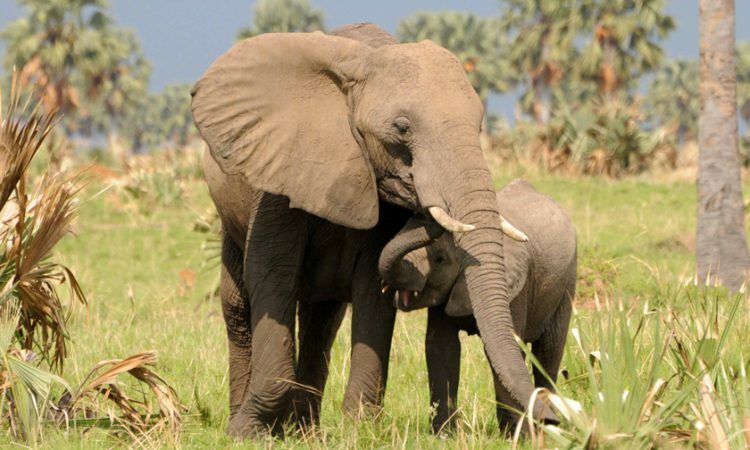 An adventurous 5 day Uganda gorilla trekking and wildlife safari. You will visit Bwindi Impenetrable forest before proceeding to Queen Elizabeth national park for a wildlife experience. Our guide will meet you at your hotel and leave Kampala for Bwindi National Park. Bwindi is famously known for the Mountain Gorillas, Birds and lots of primates. Bwindi is the Bird watchers haven! It holds over 500 species of birds and supports 24 of 26 Albertine Rift Endemics that occur in Uganda, of which you might have a chance to encounter some as well as other primate species. After your breakfast, you will be transferred to the gorilla tracking information office for a pre-gorilla tracking briefing by the park warden and rangers at 8am. You will then proceed for the gorilla trek an activity which can last between 2-3 hours, you will stay with the gorillas for 1 hour. Within the forest you will see many other creatures of the wild. Return to Gorilla Resort (luxury)/ Buhoma community Bandas (budget) FB. After an early breakfast, we shall drive to Queen Elizabeth National Park, one of the best places to go for a Uganda safari. Queen Elizabeth national park has one of the highest bio-diversity ratings of any game park in the worlds with habitats to include; lakes, forest, savannah grassland as well as wetlands. We shall go through the Ishasha sector famed for its tree climbing lions, and exercise our game searching and if we get lucky and spot these tree climbing lions, we proceed to the northern part of the park in time for dinner and an overnight stay. After an early morning breakfast, you will head for a game drive along Kasenyi tracks in search of animals like: lions, cape buffalos, elephants, warthogs, waterbucks, spotted hyenas, mangoose, kobs and, if you are lucky, the leopard is often spotted. Over 606 bird species have been recorded in this park and most notably along the Kazinga channel. Return for a full breakfast, relax and prepare for yet another exciting activity in the afternoon. After lunch you will transfer to enjoy a unique two hours boat cruise on the Kazinga Channel. This launch cruise gives you a great opportunity for photography, animal and bird watching at close range. Transfer back to Kampala and departure.